I am not a big believer in buying expensive Christmas paper, ribbon, or tags. There is nothing wrong with purchasing items, but for me - I prefer to get a little creative with my wrapping. Here are some of my tricks that might inspire you this holiday season. This year I knew I was going to have a lot of small gifts for my neice and nephews. So, I started saving our coffee bags to use as wrapping paper for Christmas (though to be honest, I also use coffee bags for birthday gifts). My husband and I are a bit of coffee addicts and I always love the typography, designs, and paper. I find the bags are the perfect back drop for brightly colored ribbon and tags. For bigger items (i.e items to big to use coffee bags on) - my go-to is kraft paper. I have this on hand all year to wrap gifts. You can wrap and add colorful tags and ribbon or you can add a few designs simply ith sharpie markers. Easy, right? For the first time in a while, I actually needed gift bags for certain items. Luckily, I was able to get kraft bags at Michaels (plus - yay for 50% off coupons. 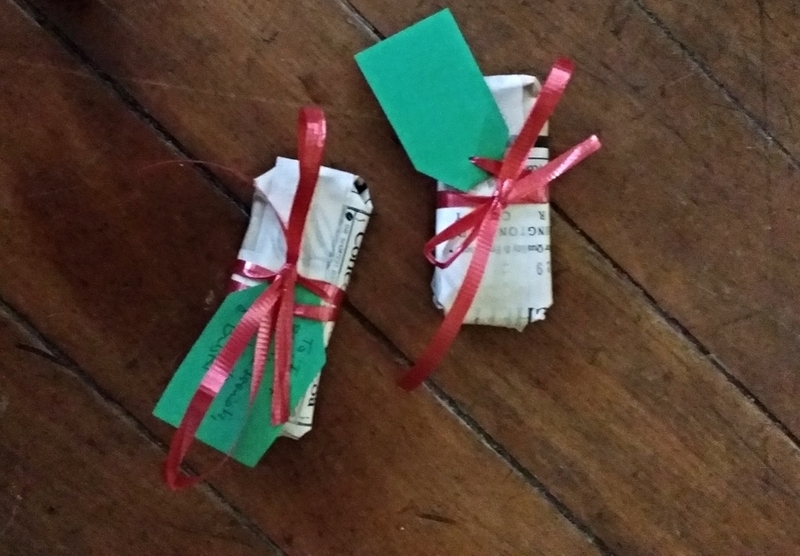 Always check for coupons) to match my other wrapping techniques. 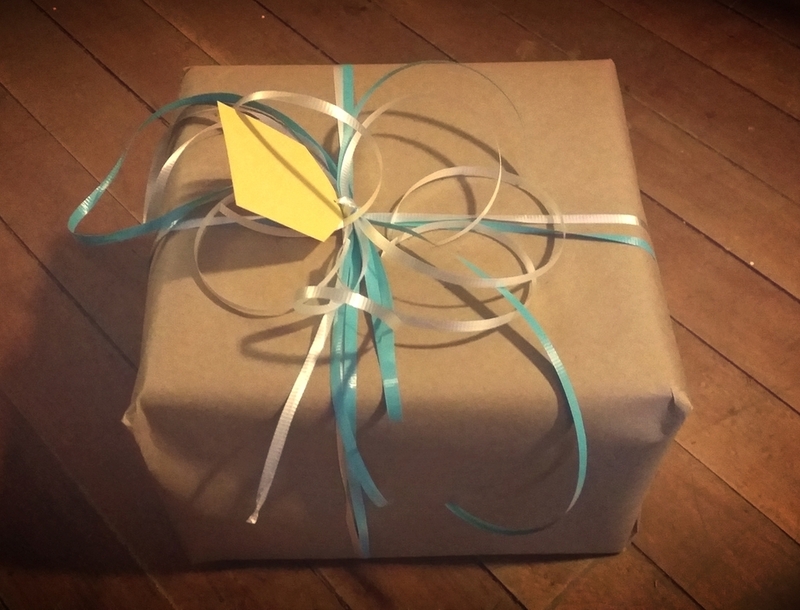 The trick about using kraft paper - scotch tape (even the gift tape or magic tape) does not really work. Instead, I prefer to let the tape be part of the wrapping when need be (as you have seen above). 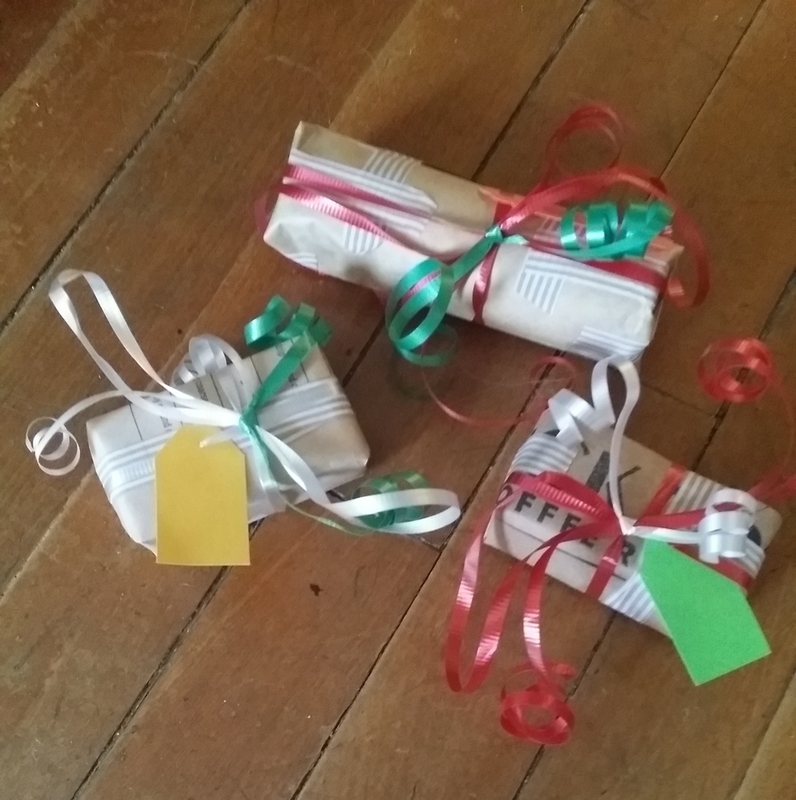 This year, I have masking tape, striped fabric tape (left over from a project this year), and brown mailing tape to add unique touches to all my gifts. This custom gift stamp is available for $19.50 at Yellow Owl Workshop. For the last few years one of my favorite things to use for gift tags is the Yellow Owl Workshop's "Gift Stamp Activity Kit." It is amazing and I will probably still use it on a few different gifts. It is super convenient and adds a bit of whimsy to every package. If you are using printed paper - you can simply use the stamp on white or light colored paper / cardstock - cut it out- and attach it to the gift. This year, due to the small items and bags, mentioned above, I decided to mix it up and make my own tags. Using cardstock, I cut out shapes or used a decorative punch I had on hand. Then used a simple hole bunch to allow a thread or ribbon to go through.